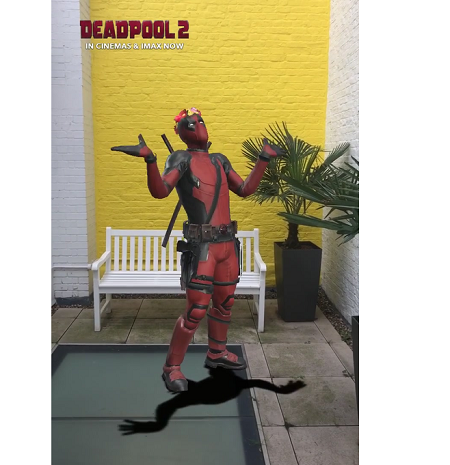 To celebrate today’s release of Deadpool 2, Twentieth Century Fox and Snapchat have created a new AR Lens that features the wisecracking mercenary dancing and twerking to the new song “Welcome to the Party” by Diplo ft. French Montana and Lil Pump from the Deadpool 2 soundtrack. 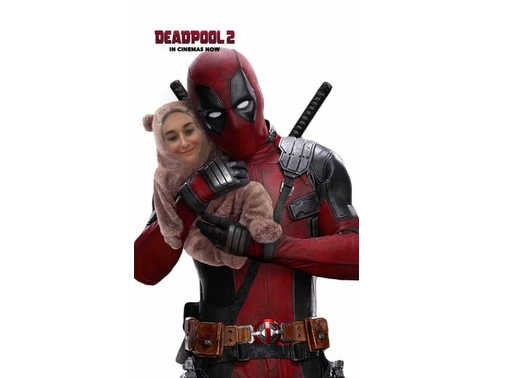 Snapchatters can also use a face Lens that puts you straight into the arms of the hero of this summer’s highly anticipated film. With the Snapchat camera in selfie mode, tap the screen to activate the Lens carousel and select the Deadpool icon. The World Lens features Snapchat’s new ‘Shoppable AR’ attachments so that brands can add a button to the Lens. Snapchatters can tap it to buy tickets within the app. The Lenses will be available nationally in the US and UK on 15th May, in France on 16th May and Germany on 17th May and will also be available in all three countries via Snapcode. It will also run in Italy, Spain, the Netherlands, Sweden and the UAE between the 15th and 21st May.